A Galway-born businessman could hold the key to Rory McIlroy's future in the Irish Open. The player's prospects of appearing at Lahinch next July were thrown into doubt last week by his dramatically altered plans for the 2019 season. Colm McLoughlin, vice-chairman and CEO of Dubai Duty Free, has frequently emphasised McIlroy's importance to the event since an initial sponsorship deal was finalised for the 2015 staging at Royal Co Down. The current arrangement, which covers Lahinch, will expire in 2020. Though he would not be drawn on the situation regarding McIlroy, it's not difficult to imagine serious contact between them in quieter moments in Dubai over the last few days. "It has been a pleasure working with Rory McIlroy and his Foundation for the last few years," McLoughlin said. "He has done a great job and we look forward to working with Paul McGinley next year. "We have been delighted with how the tournament has grown. Our relationship with the European Tour has been further consolidated with Dubai Duty Free becoming an official sponsor and partner of the tour, which sees us having an involvement in several other European Tour events." 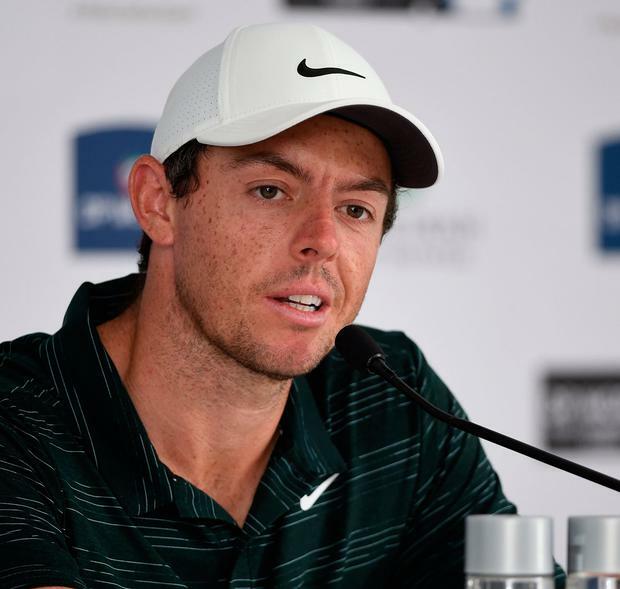 Speaking in Dubai prior to the season-ending DP World Tour Championship, McIlroy indicated he was prepared to forfeit European Tour membership by playing in only two regular events on this side of the pond next year. More significantly, the two specified events are Switzerland's European Masters in which he will fulfil a commitment to its sponsors, Omega, and either the Irish or the Scottish Open. Among the more lurid headlines prompted by this news was that McIlroy is jeopardising his prospects as a future Ryder Cup captain. One can just imagine him agonising over the possibility of such a happening, maybe 20 years down the road! But the Irish Open is serious. The event has been totally transformed over the last four years with McIlroy as host and Dubai Duty Free as title sponsors. And McLoughlin has emphasised the considerable benefits of this alliance. "I think Rory's involvement cannot be overstated," has been his verdict on the Holywood star. "We all know how good a golfer he is, but I also think he's a fine young man. It's very impressive what he has done through his Foundation." McGinley, the host at Lahinch, has confessed puzzlement at McIlroy's plans. "I've been racking my brains, trying to understand Rory's rationale," he said. In explaining the possible appeal of the Scottish Open over Lahinch, McIlroy said: "I'm going to try and play the week before Majors, as three of my four Major wins came from playing the week before." He's not the first leading player to have battled with this conundrum. This, and the decision to concentrate his tournament activities in the US next year, reflects an almost desperate attempt at injecting new life into his game after what has been a largely disappointing season. In different circumstances, a change of caddie might have been seen as a solution. America's target golf is undoubtedly suited to his powerful, high-ball-flight game, though whether it's liable to help his flawed putting is another matter entirely. Then there are the financial implications of lucrative sponsorship deals, which carry their own pressure.